Track out progress on the kokopelli trail! It was Wednesday afternoon when I received a phone call from Mike a good friend of mine. 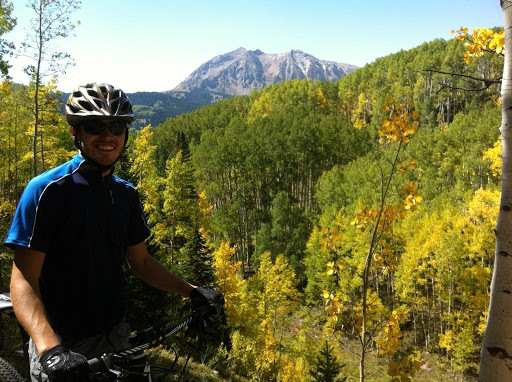 Mike and I recently completed the Colorado Trail thru-bike in early September. He asked if I wanted to bike from Loma, CO to Moab, UT on the Kokopelli Trail this coming Monday along with a few friends. It was short notice, but my mind quickly started to think what would prevent me from my next endeavor. Later that day I comitteded, and began to get very excited. More research and another bikepacking list was in the works instantily. For this trip I knew right away I wanted to use my hardtail 29er. I particularly want to see how it rides in desert conditions as I plan on competing in the Arizona Trail Race 300 version this coming spring. Just this past weekend I took a short trip to 18 road while visiting Grand Junction as I needed to pick up my computer and go to the Subaru dealer to get my car checked out. The test ride was a bit rough but that’s what you get with a hardtail. I put on my touring seat, bought some new grips, and put on the pounds to test it out! 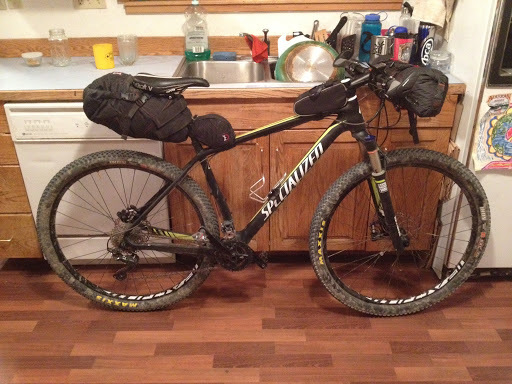 Here is my tentative setup for the Kokopelli Trail. 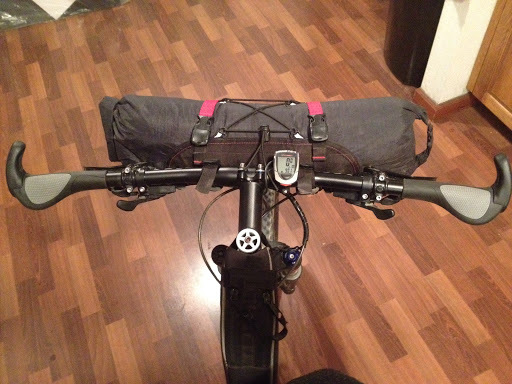 Very excited to use my new Ergon Grips. 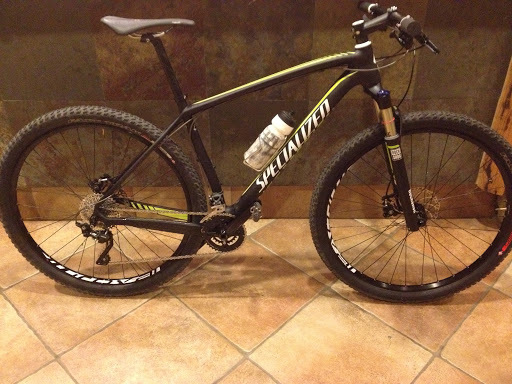 This was the the exact same set up for my Colorado trail thru-bike. First and foremost my name is Neil Beltchenko. I’m 24 and reside in Crested Butte, Colorado. I love mountain biking in the summer and skiing in the winter. This spring I made a goal for myself to thru-bike the Colorado Trail. I’ve only mountain biked for around 2 years now, but the idea to travel on my bike through the Colorado mountains by way of singletrack kind of blew my mind! As I wrote a few articles for websites about my trip, I realized I enjoy sharing my adventures and thought I should create my own blog. Here are the links to the articles I wrote. Hope you enjoy. Thanks to Singletracks.com for publishing my first article. I wrote a more visual friendly article for Crested Butte local Frank Konsellas and 14erskieres.com. 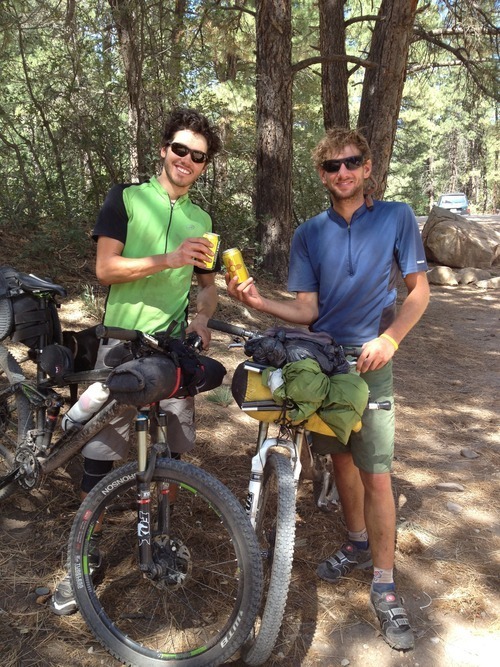 Here is Mike (right) and myself (left) in Durango, Colorado at the finish with a Happy Camper IPA from Santa Fe Brewing Co.